Labor Doula service at its finest! Includes an introductory meet and greet plus two prenatal visits during pregnancy to discuss mama's birth plan and feelings about giving birth, labor techniques, pain management, breastfeeding goals and any other questions or concerns. Phone, texts and emails are also welcome throughout pregnancy to discuss whatever comes up. During the month that baby is due, please get in touch anytime! Once labor starts, call or text whenever you are ready and in active labor and I will be there until baby is born and breastfeeding is established. Then it's time for mama and family to bond with their new bundle of joy! Expect a 2-3 hour postpartum visit as well once mama and baby are up for it to address any issues, answer questions, give advice, offer referrals or just chat over coffee! The hard work for mama isn't over after labor. Adjusting to life at home with a newborn can have its challenges, especially when you need extra support. From newborn care to breastfeeding support, grocery shopping and meal planning, household organization, errand running, caring for older siblings, to letting mama nap, your Postpartum Doula has it covered! Postpartum Doula care is a great asset and includes 3 days per week, 4 hours per day (minimum) for 4 weeks. A smaller and more affordable package designed for mamas who may already have family support but need just a tad more! Includes 2 days per week, 3 hours per day for 4 weeks. (Regular Postpartum Rate is $25 per hour for additional time. Get the best of both Doula worlds! This amazing bundle includes all the Labor Services of Birth With Love and the Postpartum Care that comes with Love at Home. 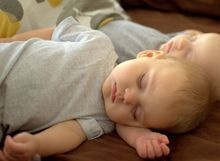 An ideal overnight option for families with multiples, single mamas, or when everyone just needs to get some sleep! Postpartum Doula care at night includes assisting with feedings, diaper changing, helping get baby down and making sure that mama gets the rest she needs. 8 hours per night (until 5 am only), 3 nights per week for 4 weeks. 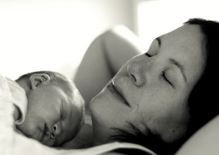 This wonderful combination includes all Birth With Love services along with Love Some Sleep Overnight Postpartum Care. After the birth of a sweet baby (or two! ), mama will need her rest and an extra pair of hands! All placenta art packages include a beautiful digital photo and memorable umbilical cord keepsake. *Placenta art services should be booked well in advance of due date to ensure availability. Notification of labor should be given immediately in order to prepare for pick up of the placenta in a timely manner. Includes six fully edited digital images on CD (most clients receive up to 10 images). Disc will be delivered within 14 days after the birth. *This is an add-on service for mamas who have purchased a birth package and is not available as a service on its own. While helping mamas construct their birth plan is included with all birth packages, this service is also available for mamas who maybe aren't able to hire a doula or are purchasing placenta art services only. Having a birth plan is extremely important and putting it down on paper is crucial in ensuring that everyone involved on the day of your labor and baby's birth is well aware of your wishes. A prenatal appointment is scheduled to go over many different aspects of labor and birth and rough and final copy of your birth plan will be constructed and emailed to you shortly afterwards.